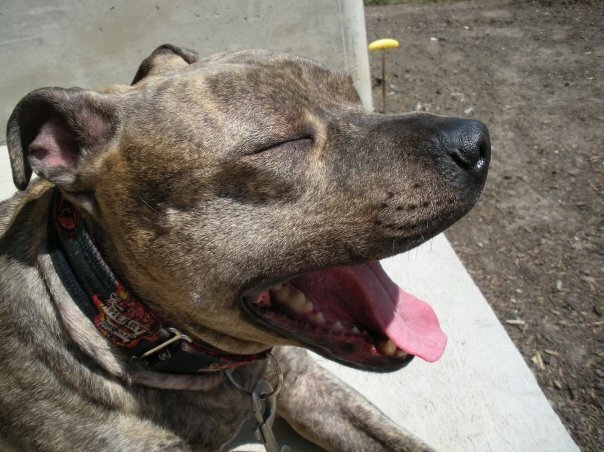 Ador-A-Bull Dog - Blog: The Dog Days of Summer! Summer is a fun time of year for humans and dogs alike. Many dogs (and people) love to play outdoors despite the heat. Some homes do not have air-conditioning, so alternative cooling methods must be used. 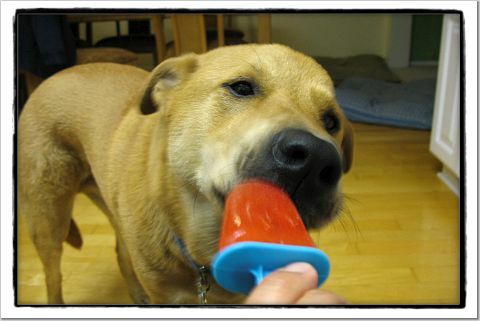 If your dog does not wish to stay indoors with the air-conditioner, or if you do not have air-conditioning, there are still plenty of ways to keep your dog cool as temperatures rise. Remember that dogs cannot cool themselves by sweating like humans. They might sweat a small amount through their pads, but the main way a dog cools off is by panting. Unfortunately, panting is not enough when it is extremely hot and humid. Always have fresh/cold water available, whether at home (indoors and out) and a travel water bowl or water bottle for walks or car rides. But of course avoid taking your canine companion on the road with you if you’ll need to leave the vehicle (and turn off the AC or stop the breeze). Even just a couple minutes with the windows down in a vehicle can be deadly for a furry friend! Also, don’t assume your pooch will know when to stop of take breaks when running/walking/playing in hot weather. I know of several cases of heatstroke in dogs who were having a great time playing and jogging with their people, and when they finally do stop to lay down, it is because they physically can't go on any more. Heatstroke happens fast. I recently read about a Labrador playing fetch in a lake, in and out of water, who suffered from heatstroke due to overexertion. • Work up slowly to exercise fitness. Make exercise part of the regular routine. • Exercise in the early morning and late evening when it is (hopefully) cooler. Avoid the midday heat. It can be a killer. • Offer small amounts of fresh cool water, frequently. • Use a hose or let your pet swim in a lake or pool to become thoroughly wet before a walk. 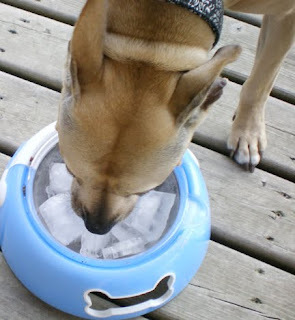 Evaporation will help keep your pet cool. Be sure to wet all layers of coat, especially double-coated breeds, such as Retrievers, for maximum cooling. • Watch your pet for signs of tiring and too much panting. The panting tongue out too far will indicate break time. • Search for shade-available areas. • Some dogs love having their own kiddie pool in the yard. • Be mindful of pad burns on hot pavement and metal surfaces. 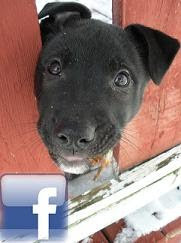 Start with plain or vanilla yogurt, and add your dogs favourite flavours, peanut butter, bananas, plain pumpkin, applesauce . .. you are limited to your creativity and Fido’s taste buds! 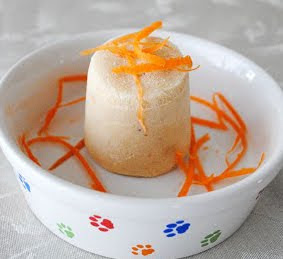 Blend ingredients together and freeze in ice cube trays of paper cups (easy to peel off after), and points for presentation if you decide to add a thin rawhide stick or pizzle stick chewie for a “stick” (handle) for your, um, Fido’s, frozen treat! How do you keep your dog cool? Leave a comment and let us know. We’d love to hear your tips and tricks for beating the heat! Have fun, enjoy, stay cool. WOOF! Thanks for the pupsicle recipe :) Going to whip up a batch of peanut butter pops for Ms Maisy Mae tonight!